the Rules of Court, further applied. Opposition: Any person who believes that he or she would be damaged by the registration of a mark may file an opposition to the trademark application within 30 days of its publication. Opposition proceedings are summary in nature; thus, there is no trial and the parties must submit the necessary evidence to prove their positions. Documents executed outside the Philippines must be authenticated by the Philippine consulate office nearest to the place of execution. The local attorney must be properly authorised to represent the foreign entity, as embodied in a special power of attorney or a resolution of the board of directors in the corporate secretary certificate. Failure to comply with this formality is fatal for the party concerned. The IP Code requires the submission of a declaration of actual use (DAU) within three years from the date of filing the trademark application. Failure to do so would result in the application or registration being struck off the registry or deemed abandoned. In 2018, in a number of appealed opposition and cancellation cases, the Office of the Director General dismissed the appeals on the ground that the cases have become moot and academic for failure to file the DAU (Novartis AG v Claris Lifesciences Philippines, June 2018; Unahco Inc v Suhitas Pharmaceuticals, June 2018; Starbucks Corporation v Ferdinand Floirendo, January 2018; and Ayala Hotel Inc v Dreamventures Property Management Corp, February 2018). The omission was deemed a voluntary and final abandonment of the pending application and application was necessarily refused. Where its trademark applications are being opposed, applicants should file a declaration of non-use on the grounds that the mark is subject of an opposition or cancellation case. However, this exemption is good only for six years, and the applicant or registrant must use the mark before the said period expires. where the mark has not been used or licensed for no legitimate reason during an uninterrupted period of three years. Effective as of 26 August 2018, mediation in the IPOPHL is mandatory under the revised rules on mediation and covers administrative complaints for IP violations, inter partes cases and appeals to the Office of the Director General. This mandatory rule does not apply to IP rights cases with an application for a temporary restraining order or preliminary injunction, or an attachment or other ancillary remedy, unless the parties request it by joint written motion. false designation of origin or false description. These actions may be availed of as administrative, civil or criminal actions. Administrative actions: The Bureau of Legal Affairs, as the adjudication bureau of the IPOPHL, has jurisdiction over IP rights violation cases with damages claims of no less than P200,000 (about $4,000) and which concern violations committed within the Philippine territory. For claims below this amount, the administrative action can be filed before the Department of Trade and Industry. Civil actions: The special commercial regional trial courts have jurisdiction over civil actions involving IP rights violations with damages claims of any amount. The plaintiff has the choice of venue, but actions brought by foreign entities that are not doing business in the Philippines can select only the place where the defendant IP rights violator resides or has its place of business. Criminal actions: The special commercial regional trial courts have jurisdiction over criminal actions involving IP rights violations. The action is initiated by filing a complaint before the Department of Justice in the territory where the criminal acts or any elements thereof were committed, for the purpose of determining probable cause. The relevant acts were undertaken without the consent of the owner of the trademark or trade name or its assignee. The element of ‘likelihood of confusion’ is the gravamen of trademark infringement. Two tests are used in the determination of confusing similarity: the ‘dominancy’ test and the ‘holistic’ test. The dominancy test focuses on the similarities of the prevalent features of the competing trademarks which might cause confusion or deception. The holistic (or ‘totality’) test necessitates a consideration of the entirety of the marks as applied to the products, including the labels and packaging, in determining confusing similarity. While the dominancy test is expressly incorporated into the IP Code, the courts still apply the holistic test. In the Philippines, the prohibition against unfair competition can be found in the Civil Code and the IP Code. Under Article 28 of the Civil Code, acts amounting to unfair competition in agricultural, commercial or industrial enterprises or in labour through the use of force, intimidation, deceit, machination or any other unjust, oppressive or high-handed method shall give rise to the right to file an action for damages. The concept of unfair competition under the Civil Code extends to discovery of a competitor’s trade secrets or bribery of its employees, misrepresentation of all kinds, interference with the fulfilment of a competitor’s contracts or any malicious interference with the latter’s business. Section 168.1 of the IP Code provides that any person that has distinguished in the mind of the public its goods, business or services from those of others – regardless of whether a registered mark is employed – has a property right to the goodwill of such goods, business or services, which will be protected in the same manner as other property rights. The main element of unfair competition is passing-off. through commercial advertising or promotion misrepresents the nature, characteristics, qualities or geographic origin of its goods or another person’s goods, services or commercial activities. Both mediation and arbitration are available in administrative and civil actions. For administrative actions mediation is mandatory, where the parties can explore the possibility of settling their dispute amicably. courts of appellate jurisdiction, which are empowered to review on appeal the decisions or orders of a lower court. Jurisdiction is the authority to hear and decide cases, while venue is the place where a case is to be heard or tried. Jurisdiction is a matter of substantive law, while venue is a matter of procedural law. Jurisdiction is fixed by law and cannot be conferred by the parties, while venue may be conferred by the act or agreement of the parties (except in criminal cases, which are heard by the court with territorial jurisdiction over the place where the crime was committed). IP rights violation cases may be heard by regional trial courts as civil or criminal actions. Regional trial court decisions are appealable to the Court of Appeals and then to the Supreme Court. The IPOPHL is a quasi-judicial government entity which, according to the IP Code, is empowered to administratively adjudicate contested proceedings affecting IP rights. The Bureau of Legal Affairs is the IPOPHL’s adjudication bureau and hears opposition, cancellation and IP rights violation cases. The bureau has nearly the same powers as regional trial courts, except that it cannot order the seizure of infringing goods while the case is pending. However, it may issue writs of preliminary injunction and other provisional remedies. The IPOPHL has national jurisdiction and administrative actions are heard and tried at its office. The decision of the bureau’s adjudication officer is appealable to the bureau’s director, whose decision is in turn appealable to the Office of the Director General, decisions of which are appealable to the Court of Appeals and ultimately to the Supreme Court. Forum shopping is prohibited by law for the purpose of discouraging multiplicity of suits. For all complaints or initiatory pleadings filed (in any type of action), the complaining party must issue a certification under oath that it has not commenced any other action or proceeding involving the same issues before the Supreme court, Court of Appeals or any tribunal or agency, and must notify the court of any similar action so filed within five days of becoming aware of it. Failure to do so shall be a cause for the summary dismissal of the complaint, and any wilful and deliberate forum shopping by any party or its lawyer shall constitute direct contempt of court. The Philippines has no jury system; the courts and the Bureau of Legal Affairs are presided over by individual judges. Appellate courts such as the Court of Appeals and the Supreme Court have several divisions with at least three justices per division. Seizure of counterfeit goods at their entry point is one of the more effective and economical measures of enforcing trademark rights. Implementing the IP Code, the Bureau of Customs issued CAO 9-2008 creating a permanent IP rights division. As a continuing alert order to the bureau, customs recordation of registered trademark is encouraged. The recordation fee is relatively low, is valid for two years and is renewable. Of course, this does not guarantee that all fake goods will be seized, since checking is conducted randomly, but the trademark owner who has more specific information on the shipment has a better chance of that shipment being seized. A trademark owner can participate in forfeiture proceedings by a motion to intervene. The bureau’s warrant of seizure and detention has been used to seize counterfeit goods kept in warehouses outside bureau premises, arising from its visiting powers to check whether importers have paid the correct duties and taxes on their imported goods. For counterfeit goods seized by the bureau, the trademark owner still has the right to file a civil, criminal or administrative action for infringement if it so desires. For criminal actions, a prison term of two to five years and a fine ranging from P50,000 to P200,000 (approximately $1,000 to $4,000) will be imposed. The owner of a registered mark may recover damages from the offending party, and the measure of such damages suffered will be either the reasonable profit which the complainant would have made had the defendant not infringed its rights or the profit which the defendant actually made from the infringement. If the measure of damages cannot be ascertained with reasonable certainty, the courts may award as damages a reasonable percentage based on gross sales or the value of the services on which the mark or trade name was used in the infringing acts. No damages can be recovered for acts of infringement committed more than four years before the institution of the infringement action. The law on evidence is essentially a procedural law and is governed by the Rules of Court. However, in quasi-judicial proceedings such as those before the IPOPHL, the Rules of Court are further applied. Therefore, it is important that the rules governing object, documentary and testimonial evidence are complied with. During the investigation phase, a key requisite for evidence to be admissible in court is that the investigator be trained or briefed on how to distinguish fake from genuine goods, and that such training be documented or training certification be issued to the investigator by the trademark owner. A usual defence of infringers in criminal proceedings is that the investigator is not the trademark owner and is unable to distinguish fake from genuine goods. It is also important that all original documents gathered during the investigation be preserved. Survey evidence is treated like any other evidence: it must be proven. In Levi Strauss (Phils) Inc v Tony Lim, involving the marks LEVIS and LIVES, the Supreme Court held that a consumer survey alone did not equate to actual confusion. The survey was made by showing the interviewees samples of the petitioner’s and respondent’s products, which were placed approximately five feet away from them. From that distance, they were asked to identify the jeans brand and state their reasons for thinking so. This method discounted the ordinary intelligent buyer’s ability to closely scrutinise and try on the jeans to determine whether they were the LEVIS brand. It also ignored that a consumer would consider the price of the competing goods when choosing a brand of jeans (it was undisputed that LIVES jeans were priced much lower than LEVIS jeans). Expert witnesses are usually availed of in patent and construction cases, but there have been no trademark cases involving issues which require an expert witness. where a publisher has published infringing material, it will only be enjoined against future publication of the infringing material. defects in the power of attorney and other procedural infirmities. For oppositions, cancellations and IP rights violations, the first-instance decision is issued by the Bureau of Legal Affairs adjudicating officer. This decision can be appealed to the bureau director within 10 days of receipt of the adjudicating officer’s decision. While not stipulated in the rules, in practice the bureau director may grant the petitioner a 10-day extension to this period. However, the respondent is allowed only 10 days (with no extension) from the date that it received the director’s order to file its response. The bureau director’s decision is appealable to the Office of the Director General, the decision of which may in turn be appealed to the Court of Appeals and ultimately to the Supreme Court. Decisions of the commercial regional trial courts are appealable to the Court of Appeals and ultimately to the Supreme Court. 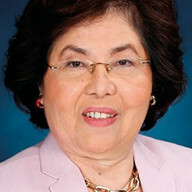 Editha R Hechanova is the managing partner of Hechanova Bugay Vilchez & Andaya-Racadio law offices, which specialises in corporate, IP, employment and immigration law, as well as taxation. She is also the president and CEO of Hechanova & Co Inc, an IP consulting company handling trademark and patent prosecution, copyright and domain name registrations, trademark valuation, searches and other non-contentious IP matters. She has been cited as a leading IP lawyer in the Philippines by AsiaLaw magazine from 2002 to 2018 and by Who’s Who Legal Trademarks from 2012 to 2018, Philippines’ Top 100 Lawyers 2018 by Asia Business Law Journal, and as an IP Star by MIP. She has written numerous articles on intellectual property in various international publications, and has been invited to speak on intellectual property in various forums. 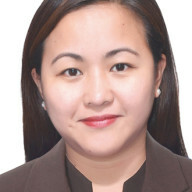 Joy Marie Tolentino is a senior associate at Hechanova Bugay Vilchez & Andaya-Racadio with more than seven years of experience in handling non-contentious and contentious IP law matters. She handles trademark search and prosecution, domain name registrations, IP recordation, FDA registrations, licence reviews and other non-contentious IP matters. She has successfully prosecuted in IP litigations involving trademark infringement, IP violations and inter partes cases such as oppositions and cancellations. Working under the umbrella of the Hechanova Group, she is concurrently trademark manager and provides opinions on how to better protect trademarks.